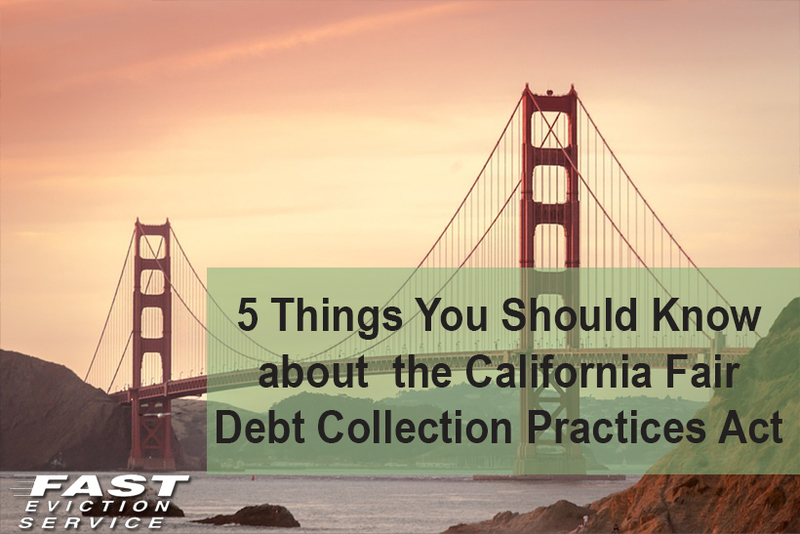 As per the California Fair Debt Collection Practices Act (CFDCPA) neither the debt collector nor the creditor is allowed to use any kind of unfair, deceptive, or abusive methods for collection. The act is no way eliminates the debt amount but only ensures that the collection process is fair for both the parties. 1. Who According to California Law is a Debt Collector? As collection agencies were deregulated in the 1980s in California, they do not need to have a license now. Even federal government has no licensing requirement. The debt collectors are not even required to have a license of local business for starting and continuing their operations. As per the act, the debt collectors can only say limited things to you and there are also limitations on the methods which they can use for contacting you, especially when they are trying to get in touch with you on telephone. They are not allowed to use profane or obscene language. The collector should disclose his/her identification on the telephone. They cannot repeatedly call you or annoy you by repeatedly ringing your phone. They are not allowed to harass a debtor by frequently calling when you are already busy on phone. They cannot misrepresent themselves in any way that would require you to spend money which you might not have spent otherwise, like additional charges on long-distance calls. The act also has several regulations which focus on protecting privacy of debtors. However, the debt collectors are allowed to send your debt reports to a CRA (Credit Reporting Agency). If at all, debt collector contacts your employer, they can only verify that you are actually employed by the employer, ask for your location, know if you have a health insurance and know more about your wages (if the court has already ruled against you). Debt collectors can also discuss your debt with your spouse and when you are minor, with your parents. However, they can get in touch with your family for knowing your whereabouts. If any collector sends a mail to you, there should only be name and address on the envelope. There should be nothing mentioned about the debt on the envelope. 5. What if any Debt Collector Violates the Law? File complaint with an Attorney General in California- While the Inquiry Unit of Attorney General will not sue the collector, it can get in touch with them and send them copy of the complaint filed by you. Sue them- As debt collectors are not licensed in California and nothing much is done when a collector violates the act. However, you have the right to sue them in court. Contact FTC- It is the FTC (Federal Trade Commission) that is responsible for enforcing this act. You can contact them through their official website. Paying the debt amount is the best way to stay protected from debt collectors. While the CFDCPA Act will protect you from unfair tactics, deception, and abuse of debt collectors, in the end, you’d be required to repay the debt. So, try to clear the debt as soon as possible and you’d no longer be required to worry about the collectors.